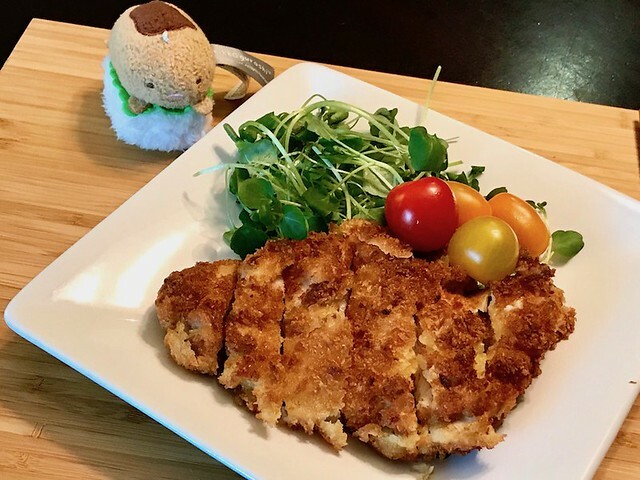 The word katsu is short for katsuretsu in Japanese which means “cutlet”. 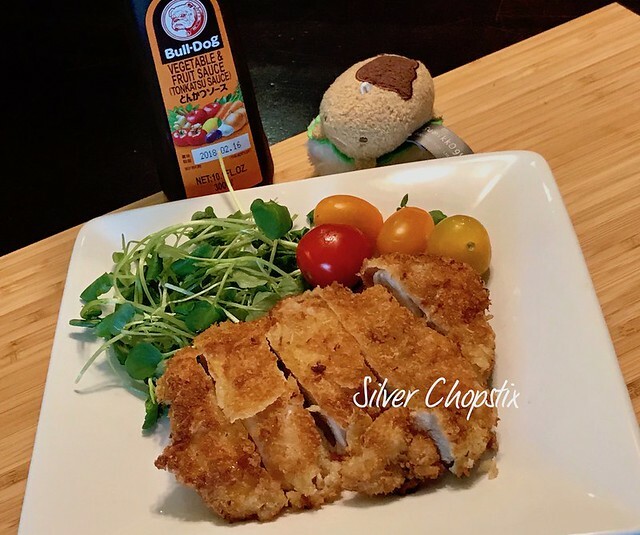 Chicken katsu is breaded fried chicken cutlet. In Japan the first katsu that was created used beef and eventually pork. It was only later on that chicken was used. I got this recipe from my youngest sister. She served chicken katsu in one of the dinners she hosted for us during our visit to Manila. It was so good that I have to ask for the recipe. To make, rinse and pat dry 4 pcs boneless skinless chicken thighs. Season both sides with salt and garlic powder. Then in an assembly line fashion dredge and dip your chicken thighs in the following in this order: Cornstarch, beaten eggs and panko bread crumbs. Remember to shake of excess as you dip and dredge. Get a medium size pan and heat about 1/2 an inch of vegetable oil. Heat should be set on medium so as not to burn your meat. 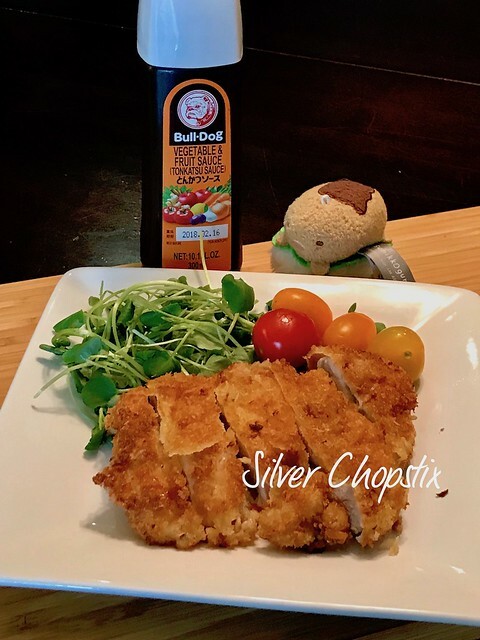 When oil is heated enough place your cutlets gently into the hot oil and fry until golden brown. About 2-3 minutes per side. Drain on papers towels. 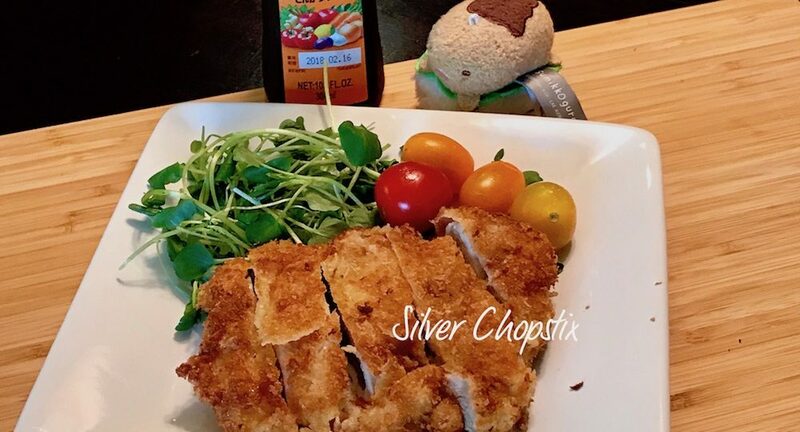 Slice your chicken crosswise into 1/2 – 1 inch slices. This is best eaten with rice and some shredded cabbage and tonkatsu or bulldog sauce. If you don’t have tonkatsu sauce ketchup is good too !